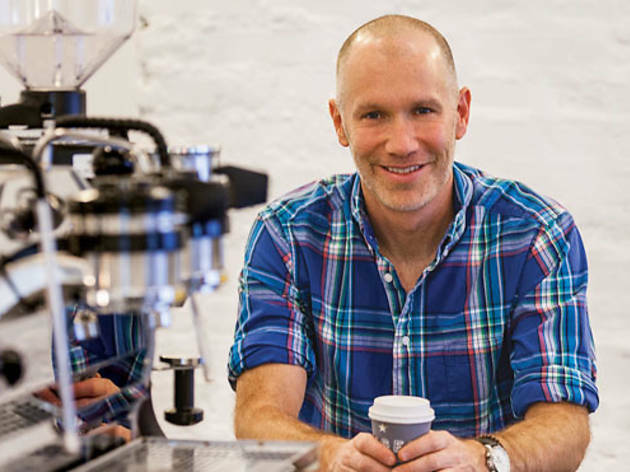 The coffee pioneer chats about the company’s expansion plans. 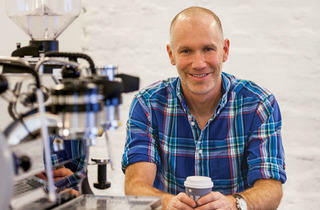 It’s been 18 years since the first Intelligentsia opened in Lakeview, and seven since the now-national coffee company has meaningfully expanded in the Chicago market. That’s about to change this year, as Intelligentsias pop up in Logan Square, Wicker Park and Old Town (not to mention Manhattan and San Francisco). Founder and co-CEO Doug Zell explains why here and why now. This feels like a new wave. Yeah. We’ve had good success in other places like Silver Lake and Venice and Pasadena [in California], where we came in and, suddenly, other stuff started happening around us. I think coffee’s still a good entry into something culinary for honestly a very reasonable price: Even if the cup’s $5, it’s still much less than a glass of wine or a cocktail. I think doing something up on Milwaukee [Avenue] near the [Logan] Theater, etc., really should be catalytic up there. Plus, we’re working with a James Beard–Award winning pastry chef [Mindy Segal]. Nobody really has paired remarkable coffee with remarkable pastries…like homemade bread and homemade jam and homemade butter—just great, simple stuff. How did these particular locations come to be? Building a coffee bar like we do is not inexpensive. [In] these various opportunities across the country, we’ve had participation on the part of landlords: People want to have [Intelligentsia], whether it’s in their building, their neighborhood, their community, etc. Putting in another fill-in-the-blank national chain isn’t the same as saying, “Well, in our building or down the street from us is an Intelligentsia.” We’ve had the good fortune of having been around this long, being a company that can execute the way that we can execute, so we’re able to get some good deals. I mean, in some of these things, the landlords are paying for the entire thing and we just show up. We have a track record; it’s not like, hey, we’re a new independent coffee bar; provide us with a build-out. How many more places can you open before people stop seeing you as an independent coffee bar? Well, how much beer can Sierra Nevada brew before people stop seeing them as a great brewery? I mean, the number’s certainly below 40, because to execute like we do in our shops is very difficult. There can’t be hundreds—no way. Our challenge is that we didn’t just turn on a roaster. We’re entering our 18th year and doing new stuff and trying to continually innovate. At the risk of being self-congratulatory, there’s a lot of things that we introduced into the industry that now everyone else sort of does or says they do. We’re on the ground in 20 countries, and other people just get their coffee from an importer and say they’re doing the work. We’re mindful of how hard expanding is, but at the same time, I think that for us, growth is really good—it allows us to do the things that we say we want to do, which is buy more great coffee, pay better prices to the producers and have an impact at source. I think that great quality as sort of a micro thing is a state of mind. I think it’s possible [to expand responsibly]—you just have to care to make it possible. Intelligentsia Logan Square (2646 N Milwaukee Ave) opens April 25. The Old Town location (1233 N Wells St) is slated for June, and the Wicker Park shop (1601 W Division St) for fall 2013.